Home show season is still in full swing. Next week it is the Waikato Home Show, open from the 2nd-5th of October at the Claudelands Events Centre. 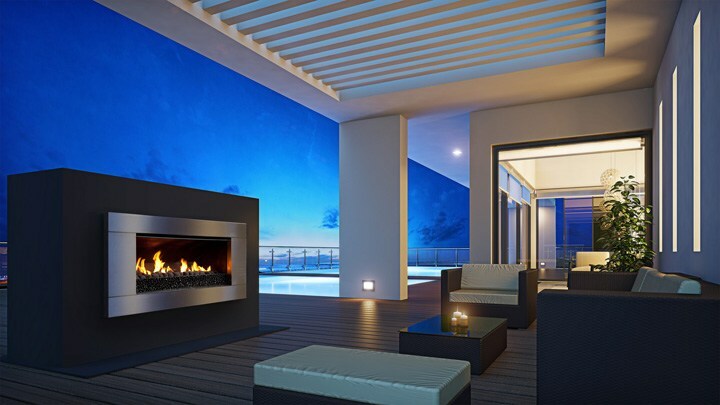 We’ll be there with our outdoor gas fireplace – the EF5000. The display will be built into a show home setup to bring the real feel of the fireplace to life. The EF5000 outdoor fireplace would make an awesome purchase this summer, so you can enjoy the outdoors all day and then late into the night. Just imagine: back yard cricket all day, BBQ for dinner, and a night cap around the fire. If you’re not sold already, come and check out the elegant yet powerful design of the EF5000. Available with a contemporary Stainless Steel Ferro fascia or a sleek Satin Black Ferro fascia, the EF5000 will perfectly match any desired outdoor design. And don’t forget the other innovative features. For more information, check out the Waikato Home Show website here. Want to check out some other examples of the EF5000 at work? Here is a list of our favourite EF5000 case studies. Escea at DesignEX Canterbury 2014.